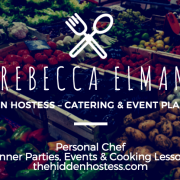 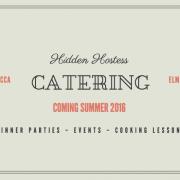 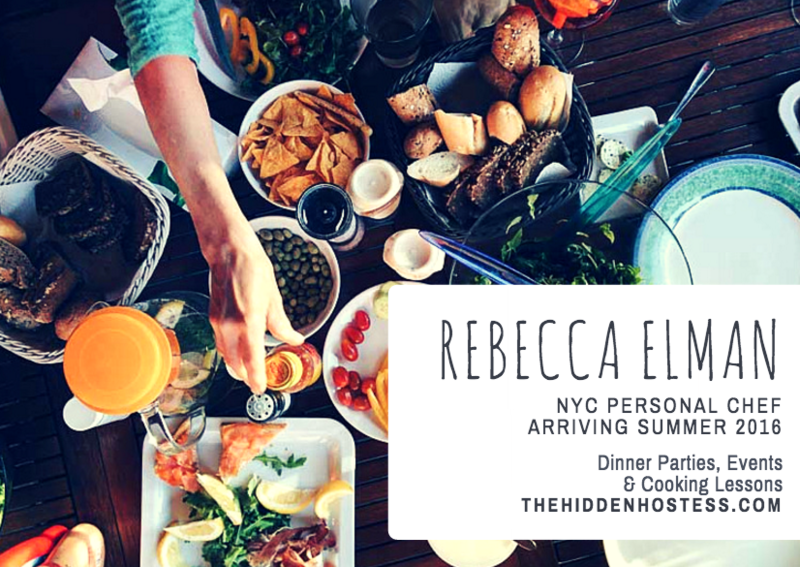 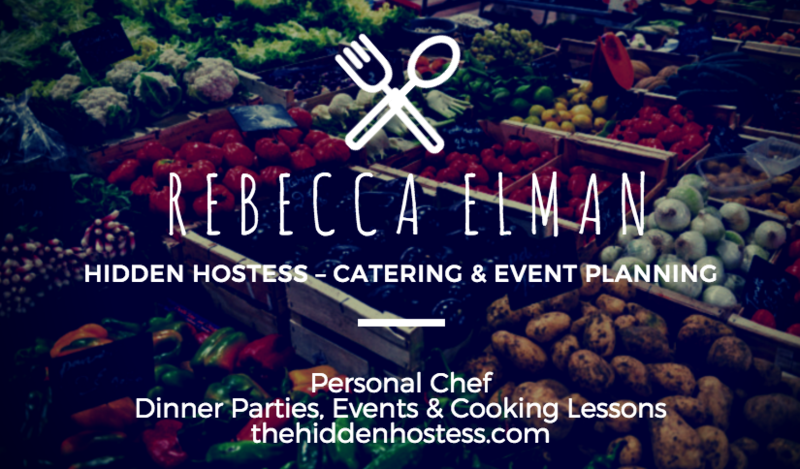 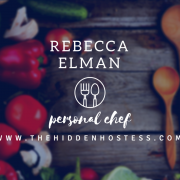 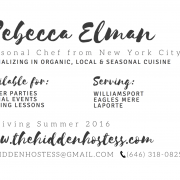 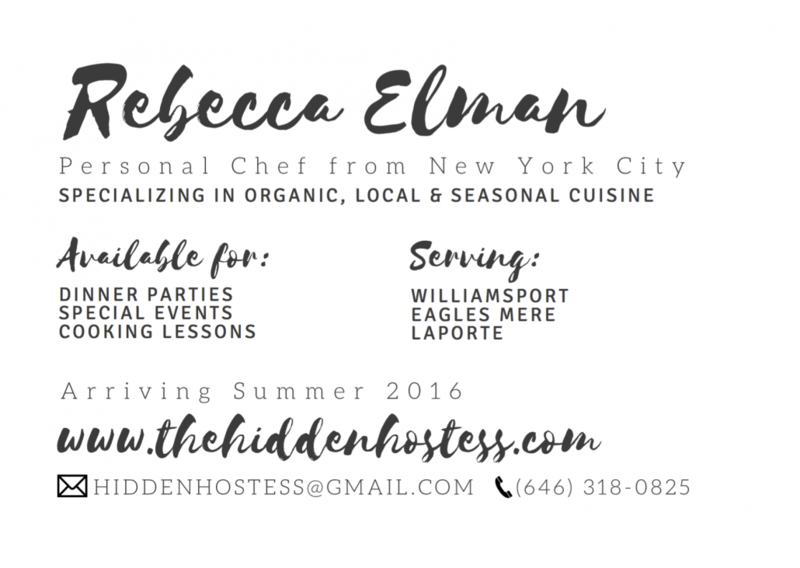 Rebecca Elman, The Hidden Hostess, needed a postcard to announce her upcoming move to Pennsylvania. 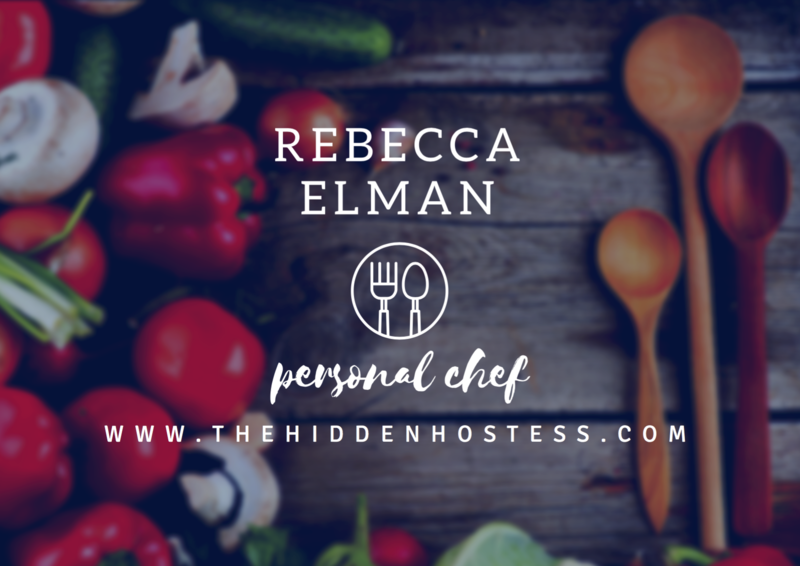 A contemporary take on rustic design sensibilities reflects the chef’s organic and health-conscious values. 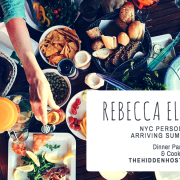 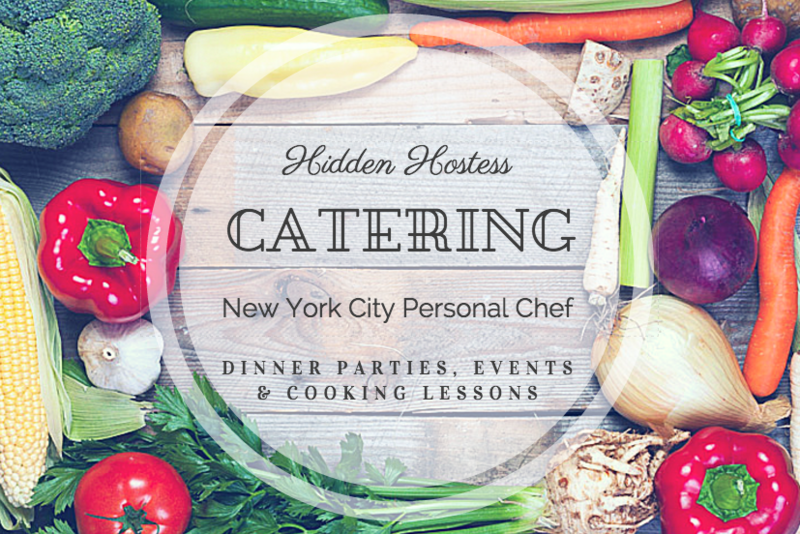 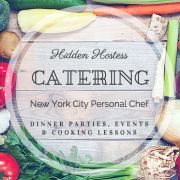 I used Canva to produce multiple drafts for Rebecca to choose from. 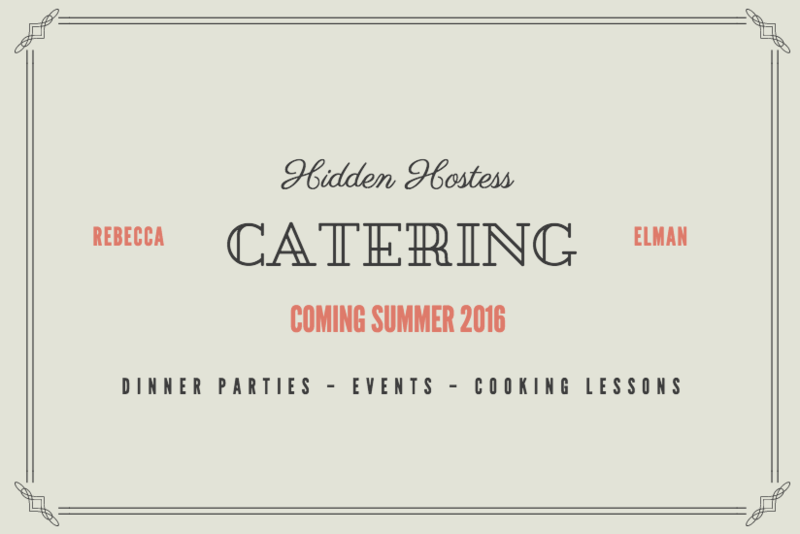 We worked via email to finesse the final design.